Whoops, that was pretty cheesy. Sorry. I love BIN, it's no secret. It's my first love of renovation supplies. We primed the kitchen windows this weekend. They were pretty rough, but we couldn't afford new wood windows and I'd rather watch Jersey Shore than put vinyl windows in my house. Did I mention I hate reality tv? I guess I'm a wood window snob. I only snapped this one pic of the before...the paint was chipping off all over, so Shaun sanded and scraped well first. I just can't believe what this stuff can do. Too bad it can't clean the glass. Unfortunately, BIN fumes have the ability to singe your nosehairs, so I wore a mask and only worked in short bursts to protect baby Hilton. We also used throw-away foam brushes to make sure no cleanup was necessary. The windows are officially ready for paint! 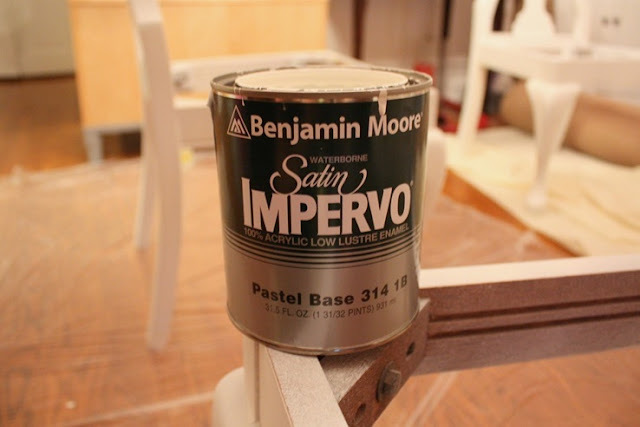 I will be using the always-delightful Benjamin Moore Satin Impervo (waterborne) paint in Decorator's White to finish the windows, and all the trim in the room. It's a very close match to the cabinetry, thank goodness. Someone asked me what the dimensions of the kitchen are. The room is 16ft from windows to dining room, 12ft from sink wall to range wall, and the microwave nook is about 5ft by 5ft. I love my kitchen, I just wish it was ONE FOOT wider so I could have a small island. It's just too narrow at 90 inches from counter to counter. Too narrow for this most beautiful French Kitchen Island that I covet from Crate and Barrel. WHYYYYY? Oh wells. Here is my 20-week belly to distract me from the pain. I'm feeling good, looking less chubby and more pregnant! 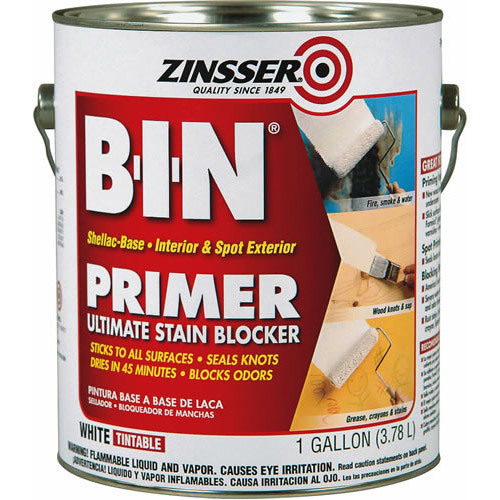 I <3 Zinsser primer too. That is a big improvement on the windows! I'm a wood window snob too which is why it's going to take forever to replace all of them LOL. But it will be worth it. Did you have your 20 week scan yet? you look great! so do the windows! also, you might be surprised, the island still might be ok in the 90" wide space... i know it is against all "standards", but we are putting an island in our kitchen. we have 92" (on paper, so probably +/- a little once we actually install everything) and i am using a 24" wide island. we've been testing it out in the current kitchen and have found that we have plenty of room to work. it's not a giant kitchen, but it's functional. i actually prefer to have my work spaces a little closer together. you could aways try to put some boxes or something with the same dimensions in the middle of the kitchen and see how you like it. i think it's more important to see how you feel in the space. Your windows look awesome! The work was worth it. =) And your baby belly is so cute! You look great. You know....you could make that island....to your exact specifications......email me if you want my idea! I covet that island, too! Unfortunately it won't fit in our kitchen either. The space is currently taken up by our baby carriage (because there's literally no where else to keep it)! Boo! 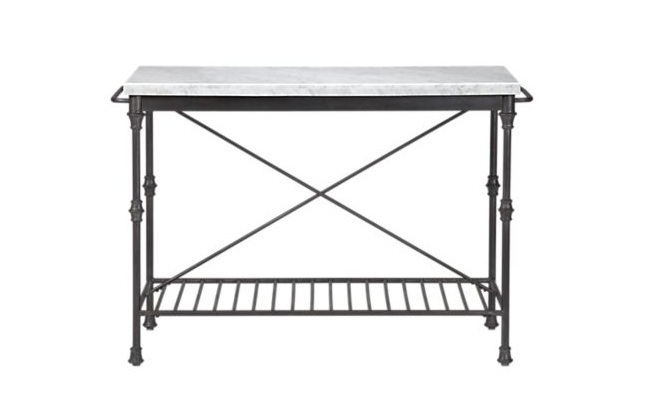 ...And that kitchen island is beautiful...someone needs to get it. Looking so good! I'm envious of your kitchen. Good to know I was not alone in my painful window painting! Those Target tanks are wonderful!! We too have wood windows and I will definitely give BIN a whirl when it's time to update those guys... the project is looming over my head. :) You're looking great! i should have used bin on my old windows i just painted at our rental. boo. next time. in terms of the island, maybe you could build a narrow one? not the best idea if you'd like to sit at it, but it could work if all you're looking for is another prep area. anyway, the kitchen progress looks great, and you look beautiful, mama! You are looking awesome! And those windows? Loving them. What a different a coat of BIN can make. You look great! Seriously love the tank top! Sara you look absolutely fabulous! So glad you shared that photo and things are going well. Can I just live in your kitchen when it's complete?! Good to know about BIN, if/when we have a need for something like that! Oh, and your tank & sweater combo are super-cute! I love BIN! We use it on all of our wood windows too and it does wonders. I made the mistake of using the waterbased version the first time...and then had to redo it again as the stains came through. Grrr. You are looking super cute! I had tons of those tanks (and if I am being completely honest I still wear a couple of them under things 6 months after he was born). Shhh! I totally missed that you're expecting! Congratulations!